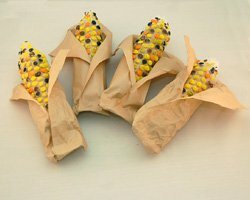 Bubble wrap Indian corn is an easy Thanksgiving craft for kids! My daughters love to play with bubble wrap, and we always seem to have some around the house. Hopefully you do too! 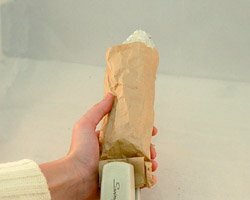 The only other thing you need is an empty paper towel tube (or toilet paper tube), and a lunch size paper bag, glue and some paints. These really look nice when they are done, and my kids loved painting the kernels. These would look really pretty as part of a Thanksgiving centerpiece, or would make a great Thanksgiving craft project at school. 1. 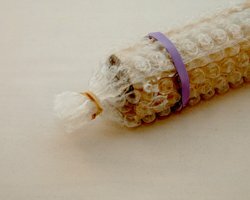 Begin the bubble wrap Indian corn by cutting a paper towel tube in half (5.5 inches in length). This will give you enough to make two ears of corn. Alternatively, you can use one empty toilet tube roll. 2. 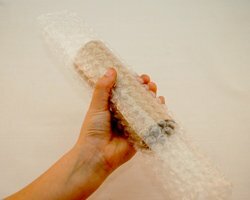 Cut a rectangle of bubble wrap, long enough to wrap around the tube. Allow a little extra length for you to overlap it slightly. Allow at least two inches of bubble wrap to extend above and below the tube. 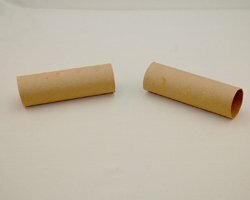 Then, apply glue all over the paper towel tube. Wrap the bubble wrap around it, securing it with glue. Hold this together with rubber bands until it dries. 3. In the meantime, apply glue INSIDE the bubblewrap around both of the extending edges (see photo). Do each end one at a time so it doesn't get too messy. 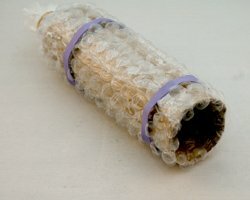 At one end, tuck the bubblewrap inside the tube. This will stay in on its own but the glue will help cure it. 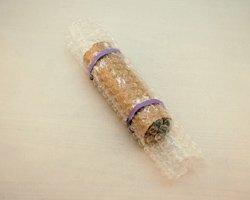 At the other end, gather the bubble wrap together and secure this with a twist tie or another rubberband. Remember, there should be plenty of glue on the inside to help hold this together. When it is dry (overnight drying is best) the ends of the bubble wrap can be snipped off above the point where the ends are gathered together. Note: I found that white school glue did not hold this extremely well, and it took awhile to cure. Another strong tacky glue may work better. Or, perhaps the ends can be kept secure by wrapping with a white thread. 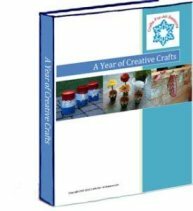 If you come up with a better idea while making this craft, please post a comment below so we can learn the best method. 4. Let the painting begin! Dip your paintbrush into yellow paint and just paint the raised plastic bubbles on the bubble wrap. Skip a few "kernels" every so often. 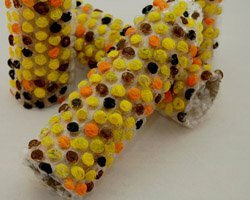 These kernels can be painted orange, brown, or black. You can paint the whole ear, or just one side. Only one side will be peeking through the corn husk so it is up to you. Allow it to dry before moving on to the next step. 5. Cut open a lunch sized brown paper bag by cutting down one of the edges, then cutting around and removing the bottom of the bag. This will leave you with a large rectangle. Cut this in half. This gives you enough for two corn cobs. 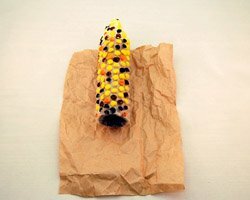 Wrap the Indian corn in the brown paper. The brown paper ends should come together on the painted side of the corn. Allow some excess brown paper to extend from the bottom of the ear of corn..
6. Turn the corn cob over. Take the extending brown paper ends and fold them together and up. Secure with a staple. 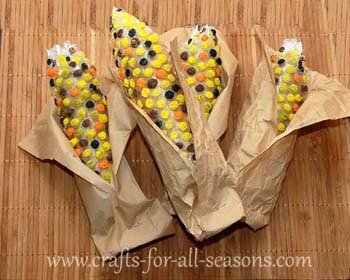 Turn the corn cob over and fold back the paper ends to make it resemble the husk. The bubble wrap Indian corn is now ready for display!